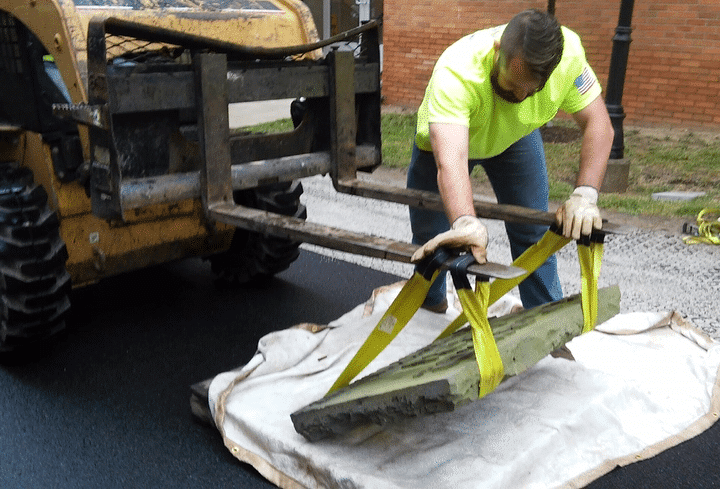 UGI employees with a deep appreciation for local history are credited with preserving a piece of the past from the early days of Scranton, Lackawanna County’s largest city. When the old Scranton Gas & Water Company facility at Bridge Street, which over the years had become UGI property, was about to be demolished, it seemed obvious that its history would be of interest to local residents. So, the capstone from the facility was carefully moved to UGI’s Archbald location for safekeeping. Scranton Gas & Water was started in 1854 by Joseph H. Scranton, a cousin to the founders of the city, brothers George and Seldon Scranton. Joseph was an early investor in his cousins’ Lackawanna Iron & Coal Company which, by 1867, was also producing steel and being run by Joseph’s son William Walker Scranton. William established the separate Scranton Steel Company in 1877 following a violent riot involving striking workers. However, in 1891, as William’s tenure as the company’s president came to a close, Scranton Steel became part of Lackawanna Iron & Coal Company. UGI’s Eleanor Whitman sent a note to UGI President & CEO Bob Beard, suggesting that the Scranton Gas & Water capstone be donated and preserved. With Beard’s blessing, UGI reached out to the Lackawanna Historical Society to find out who should be contacted. 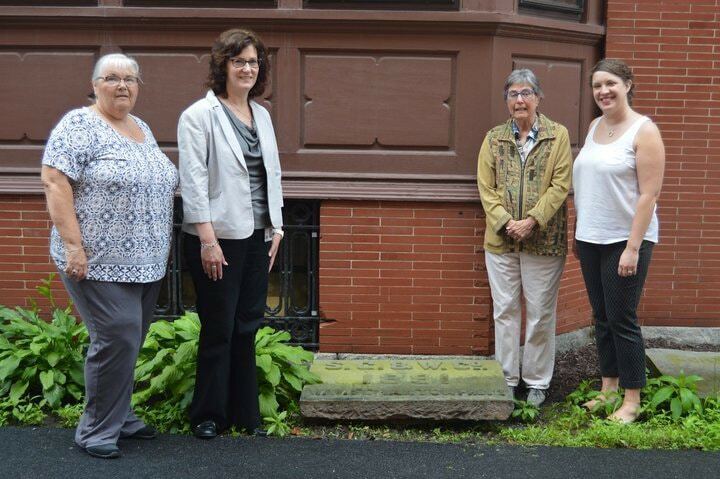 By coincidence, the historical society recently had acquired the capstone from the old Scranton Steel Company. They responded that they would be pleased to have the Scranton Gas & Water capstone to go with it. Contact made, mission accomplished — both artifacts are now in the hands of preservationists who will keep them safe to inspire future generations to learn about the industrial history of Northeastern Pennsylvania.